Chrysanthemum daisy white(1 pt. ), Rose red(3 pt. ), Hypericum red(3 pt. ), Gypsophila white(2 pt. ), Frame(1 pt. ), Greens(1 pt. ), Decorative elements(5 pt. ), Packing(1 pt. ), Tape(1 pt.). 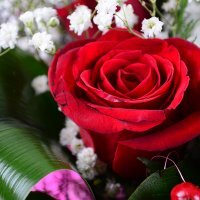 Birthday, Colleague, For children, For her, For young lady, Gratitude, I Miss You, New-born, Sorry. 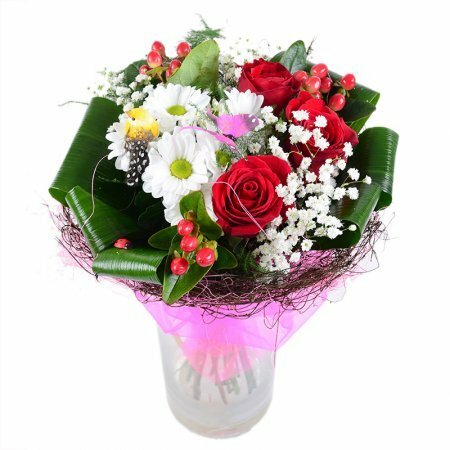 Bouquet «For beloved girlfriend» — it’s not just another one bouquet, it’s a floral symphony! 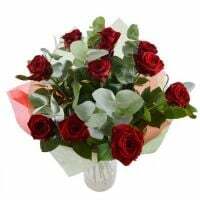 Gorgeous red roses, tiny hypericum berries, complemented with snowy gypsophila and white chrysanthemum — unusual mix of traditionally fabulous flowers. 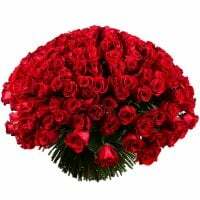 This bouquet will help you to make a romantic love declaration on Valentine’s Day, make an amazing Birthday or wedding anniversary congratulations. This bouquet is small and delicate. Whether a date or a holiday will become much more gorgeous and totally atmospheric! 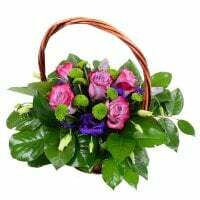 Delight your sweetheart with such a beautiful flower present she won’t forget. Attention! 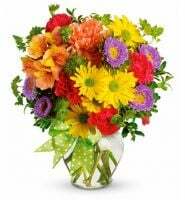 Bouquet may differ from the images displayed on our site. 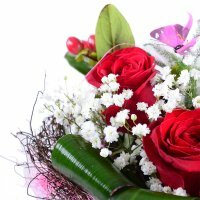 The value of vase is not included in the price of the bouquet. 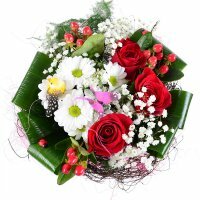 As usual, a wonderful bouquet of fresh flowers! Manager response: Thank you very much for using the services of our company. We will be glad to see you among our regular customers. Manager response: Thank you, we are very glad that you enjoyed our work! We will continue to please you and your loved ones! Manager response: Thank you very much!